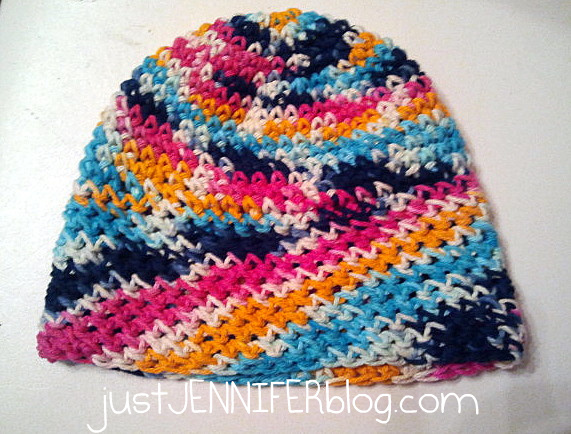 I finally crocheted a hat! Turns out the trick is counting your stitches so you know when you've completed a round. Or don't count at all, just keep going and worry about filling in the last round at the end. Well, that and some actually correct instructions. Have you all heard of wikiHow? Well, that's where I got the directions I needed to crochet a simple beanie hat. And then.....as it turns out, I didn't do my hat exactly as instructed. I have no idea why. But whatever, because it turned out just fine, thankyouverymuch! 9. 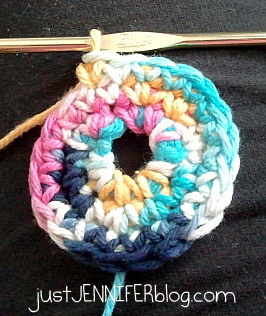 Single crochet around and around til you run out of yarn! You can count each stitch so you know when you start and finish rounds. You can join the rounds or do the super easy spiral thing. 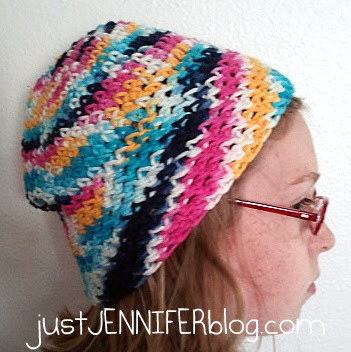 You can do more or less increases depending on the size of the head you are crocheting for. 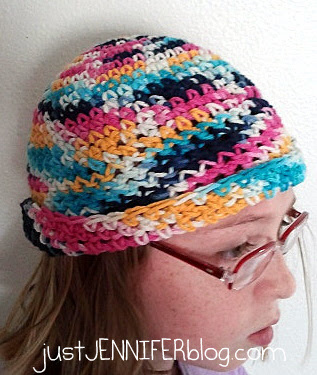 Forty-five stitches was good for my daughter's head, and 50 seems to be good for me. Basically, you keep increasing until your work covers the crown of the recipient's head. Please let me know if this post is helpful to you. And if you make a hat the way I did, let me know how it works out for you!